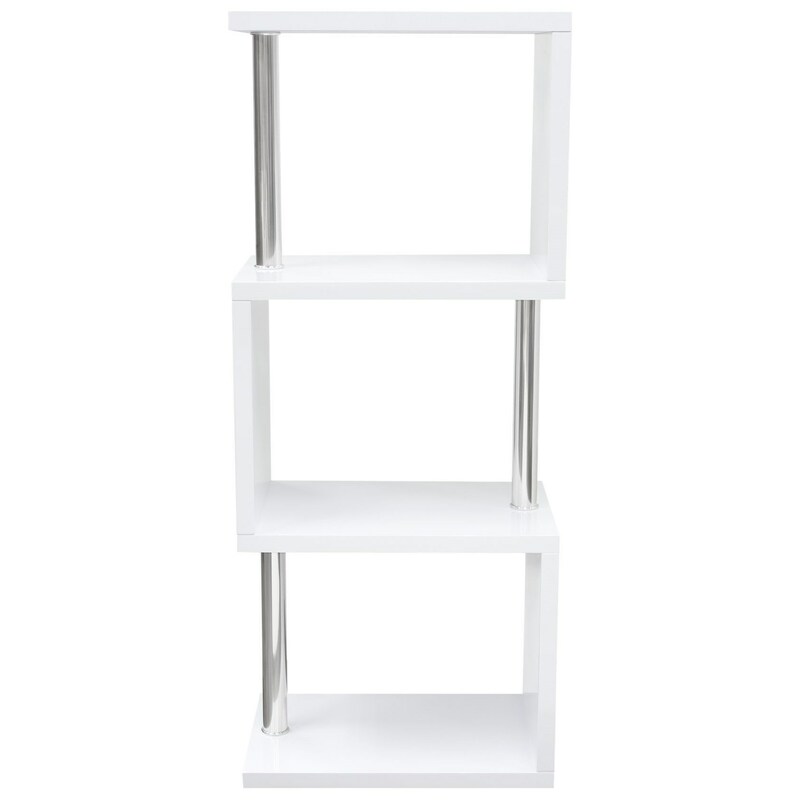 Function meets simplicity with this 24 inch by 58 inch divider shelf cabinet. With its clean lines and ample storage areas, this unit provides a crisp presentation for your storage needs. Finished in a High Gloss White Lacquer with Stainless Steel Supports, it provides an edge to the piece to accent any room's decor. The X-Series Small Shelving Unit by Diamond Sofa at Red Knot in the Oahu, Honolulu, Kapolei, Pearlridge, Salt Lake, Hawaii area. Product availability may vary. Contact us for the most current availability on this product. Browse other items in the X-Series collection from Red Knot in the Oahu, Honolulu, Kapolei, Pearlridge, Salt Lake, Hawaii area.